Mort Walker, a cartoonist whose work has been seen by more-or-less every human being who’s ever opened an American newspaper to the funny pages, has died. 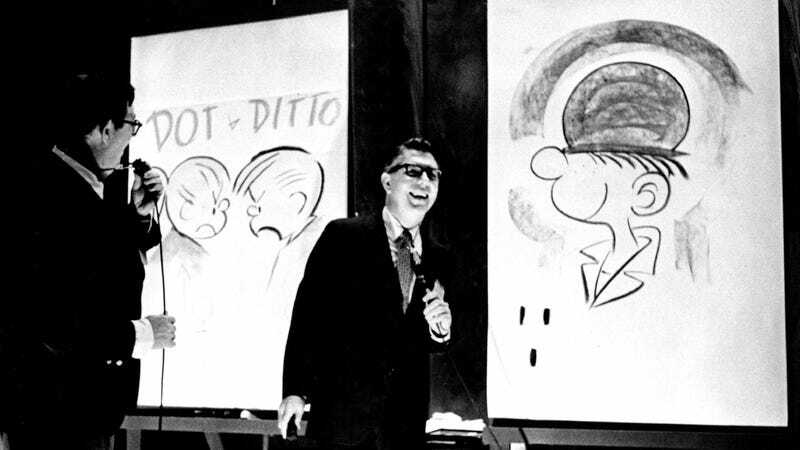 The creator of the low-key military comic strip Beetle Bailey—and its long-running spin-off, Hi & Lois, which he worked on with artist Dik Browne—Walker was 94. Until his death, earlier today, Walker held a singular distinction in the world of comic art: Assisted by two of his sons, Greg and Brian Walker, Mort was the longest-serving original creator of a comic strip still being published. For 68 years straight, he worked in the world of Beetle Bailey, capturing the day-in, day-out troubles of Camp Swampy and its seemingly endless series of bloodless military exercises, brawls, and endless complaints about army food. Beetle Bailey is one of those long-running comic strips that’s more likely to draw a slight smile from its readers, rather than provokes an outright laugh. Part of that lies in the weird, eternal purgatory of punwork and drudgery its characters are eternally trapped in, while the rest lays at the feet of the always-conservative mainstream comic strip world. (Walker—who occasionally got into fights with editors over things like the controversial decision to include belly buttons on his characters—apparently liked to blow off subversive steam by writing raunchy version of the strip, which were sometimes published in Scandinavia, of all places.) And yet, it’s impossible to question the man’s work ethic, and the base-line consistency of the comedy he produced. One slight smile is an afterthought; 68 straight years of them is a little harder to deny. Star Trek: "The Trouble With Tribbles" / "The Gamesters Of Triskelion"